Thin sidewalks and a lack of dividers between pedestrians and cars often makes it uncomfortable and unsafe for those using sidewalks. Photo by Benoit Colin/EMBARQ. Bangalore has rapidly become a megacity. At nearly 10 million people, the city has already doubled the size of its population in just 20 years. This explosive urban growth has been coupled with increased motorization, with now more than 50% of households owning a motor vehicle, most commonly a two-wheeler. The local administration has responded to this rapid growth and increased motorization by quickly building and expanding roads without much thought to how these developments impact the urban fabric. Walking around Bangalore, it is clear to see how building for cars has destroyed much of the connectivity between neighborhoods and access to public transport. By contrast, EMBARQ India’s experience designing accessible Metro stations shows that this car-centric development process can be reversed, and it is possible for Bangalore to begin to build around people. Radials and ring highways have expanded while congestion has risen following the addition of a flyover through the city center. This allows highways to cut through historical neighborhoods, impeding residents’ quality of life and allowing those with motor vehicles to bypass these neighborhoods. This both decreases connectivity among residents of the city and hurts local economies. A sidewalk disappears at the gas station, forcing those who use buses to navigate along the edges of the road. Photo by Dario Hidalgo/EMBARQ. Furthermore, 58% of the investments in the city’s comprehensive mobility plan go to road construction and expansion. This leaves little money for creating pedestrian pathways alongside the road, forcing children to walk directly in the road to get to school. Lack of connectivity between different places in the city decreases adults’ access to jobs, and children’s access to education. Photo by Benoit Colin/EMBARQ. Still, the city has a high proportion of residents using public transport and non-motorized modes for their everyday trips. Bangalore has a very strong public transport service, which serves 27% of the city’s, and the city is improving these modes by expanding the metro system, which was launched in 2012. Bangalore actually has the largest bus system in India, the BIG Bus Network, also one of the 20 largest bus systems in the world. The city is even considering a bus rapid transit (BRT) network along Ring Road, a primary artery in the city. Public transport is complemented by auto-rickshaws (7%), a three-wheeler intermediate public transport service common across India. Rickshaws offer quick last-mile connectivity to mass transport, yet their steep price often makes them viable only for Bangalore’s middle class. This leaves many others skirting along the sides of roadways in order to reach affordable transport. Rickshaws and pedestrians coexist in the street, but smart design principles can be used to strengthen the dignity shown towards pedestrians in these spaces. Photo by Dario Hidalgo/EMBARQ. Motorcycles are becoming the predominant mode of transport (25%), and automobile usage is still low at 6%. However, automobile transport is expected to increase over the upcoming years. This means that cities such as Bangalore will need to rapidly expand their mass transport capacity to stem this growth in auto transport. Bangalore is similar to other large cities in India, like Mumbai, Delhi, Kolkata and Chennai, which still have high levels of public and non-motorized transport use. Now is the time to understand how these different transport modes can work in unison to stop residents feeling as if they need a car in order to have safe, reliable, comfortable transport. 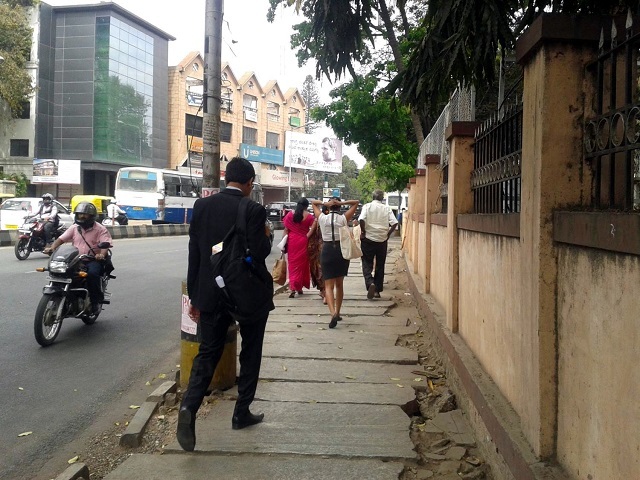 Sidewalks that are left uneven and unpaved can decrease economic growth as professionals struggle to travel to work. Photo by Dario Hidalgo/EMBARQ. 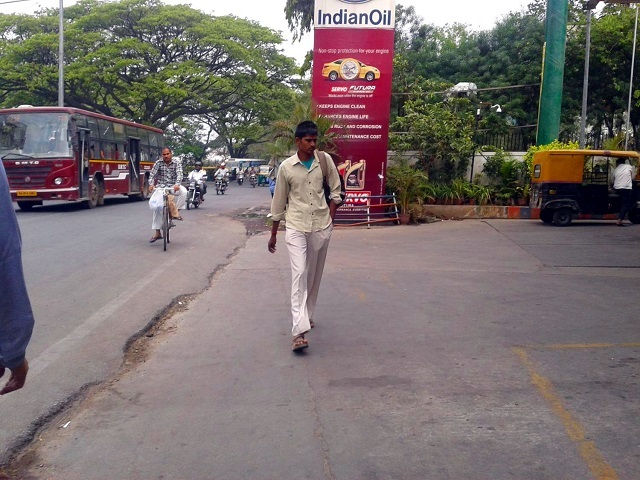 In order to do this, Bangalore will need to decrease the number of obstructions on its sidewalks. Ramps for cars, sidewalks that disappear at gas stations, and a lack of barriers between pedestrians and fast moving cars decreases the likelihood that people will choose to bike and walk out of fear for their safety. 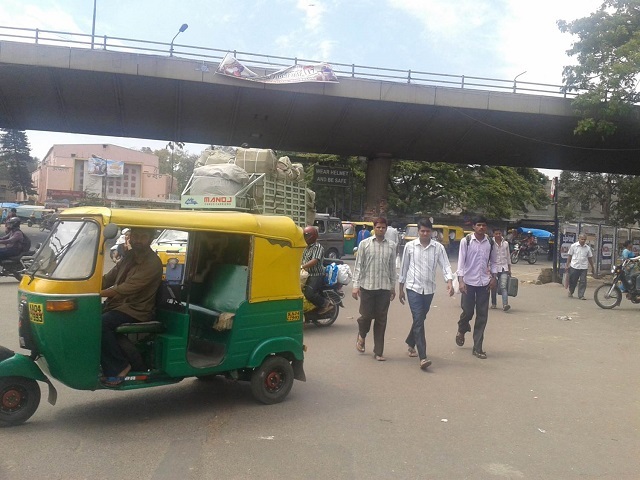 Multiple modes of transport thrive in the city of Bangalore, but the connectivity between them needs to be strengthened. Photo by Benoit Colin/EMBARQ. Bangalore was once called the “Garden City,” both for the city’s gentle climate and abundant greenery, but also because of its numerous public parks and the relaxed, convivial way in which people interacted with each other. Increasing motorization has threatened this peaceful image. It is time to harness the expertise of organizations like EMBARQ India to give Bangalore’s residents accessible and high quality sustainable transport options as well as revert to the sense of tightly knit community that marked the city’s history. 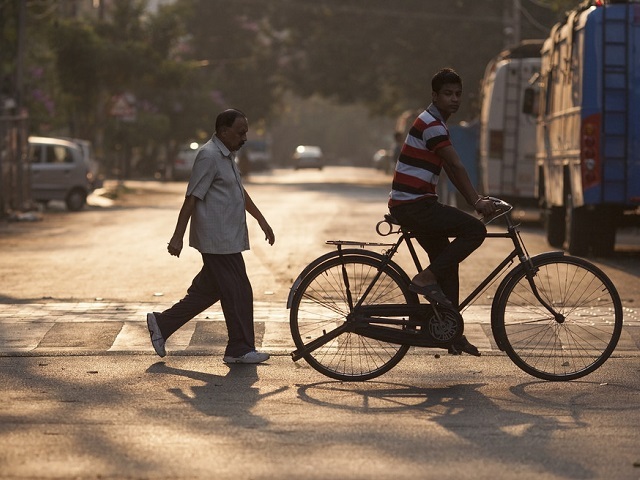 By re-orienting urban development around people – not cars – Bangalore can grow and thrive while improving livability. 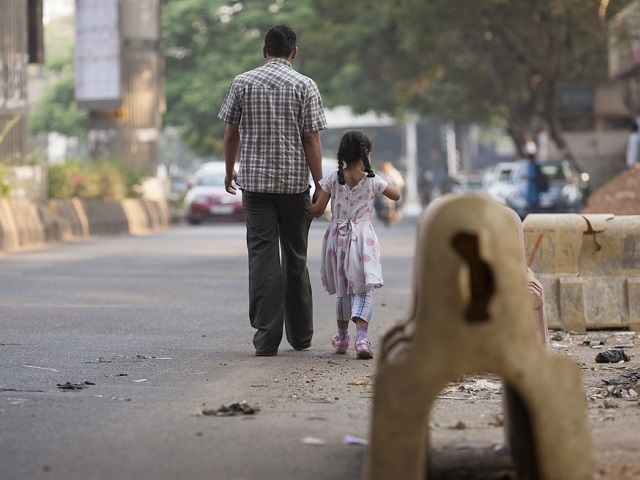 By reorienting Bangalore’s transport network to focus on people instead of cars, the city can give the children access to greater opportunities for their future. Photo by Benoit Colin/EMBARQ. For more photos from the streets of India’s “Garden City”, view EMBARQ’s Flickr sets on walking, cycling, and buses in Bangalore.